With the Ray-Ban 5228, the American glasses specialist shows once again their skill and expertise in the field of corrective vision. 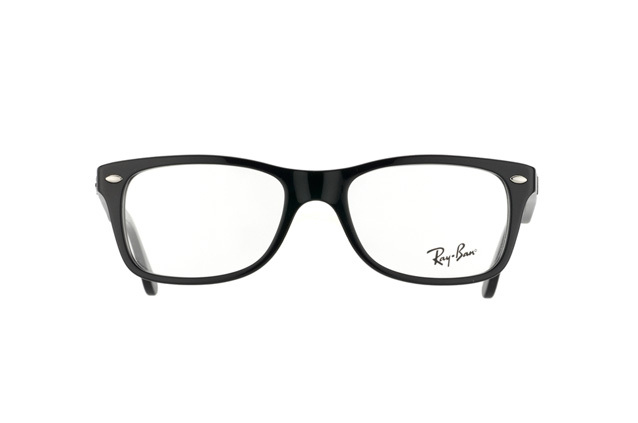 The classic full frame made from acetate is a variation on the current nerd and geek glasses trend that is associated with Ray-Ban. 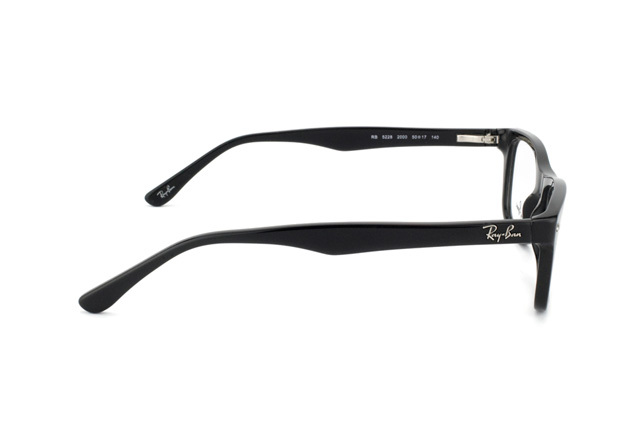 The dark full frame of the Ray-Ban 5228 is very striking. 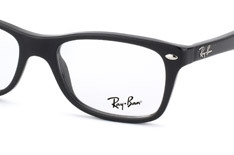 Because of this, the geek style and severity of the frames is not one of the main features. 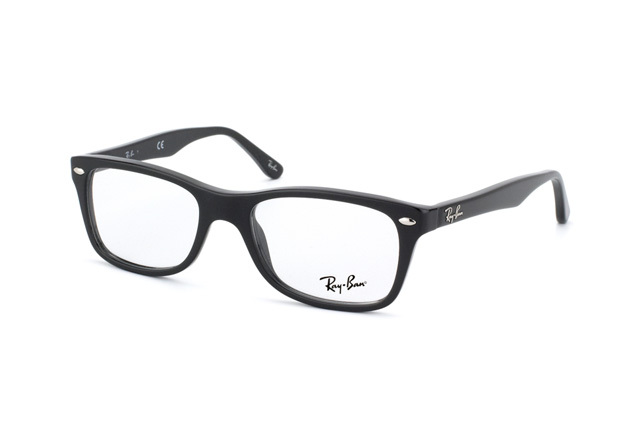 While these glasses have been heavily inspired by the similar Wayfarer model but are slightly smaller and this version is somewhat thinner and the arms, where you typically find the Ray-Ban logo, are not as wide as the Wayfarer. 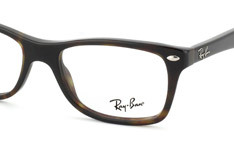 So with these dimensions, the Ray-Ban 5228 are perfect for smaller or female faces. This iconic look has been given an individual touch with a range of colours to choose from. Stay classic with the plain black or tortoiseshell brown models or shake things up a bit try the two-tone brown style for the ultimate vintage look. To add a splash of colour, be brave with the black and opal pink option, the dusky pink colour on the inside of the frame to make it more subtle. 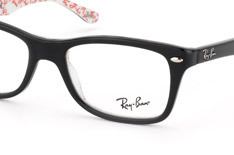 And for the ultimate statement, the inside of the frames can be printed with a red and white pattern of the Ray-Ban logo for a truly individual style. The Ray-Ban 5228 are attractive not just because of their timeless design but also because of their high quality materials and workmanship. At Mister Spex we fit our glasses with extra-strengthened, non-reflective designer lenses made from a kind of plastic. Simply tell us your prescription details and we'll fit your glasses with lenses that will allow you to see perfectly.